Asia Pacific CSO forum on ICPD beyond 2014 was organised by the United Nations Economic Social Commission for Asia and the Pacific (UNESCAP) from 12-13 Sep, 2013 in Bangkok, Thailand. 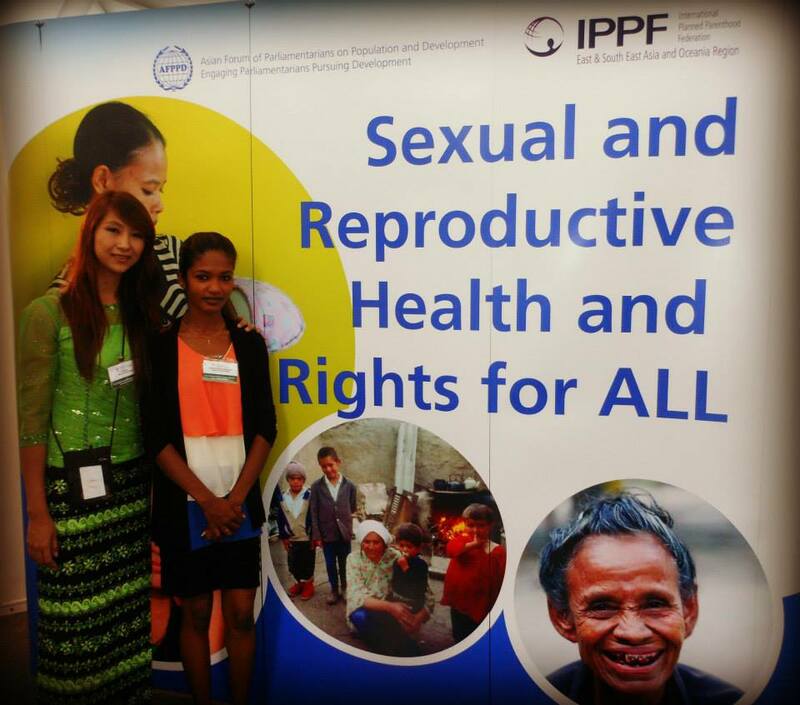 Sureka from YWCA of Sri Lanka and Yadanar from YWCA of Myanmar participated as World YWCA representatives for this forum. 13 organizations from 5 regions participated in the forum. Among the 120 participants, 30% are youths. During the forum, we actively discussed about SRHR, education, comprehensive sexuality education, access to safe and legal abortion, poverty reduction and sustainable development, ageing and migration. The participants are grouped according to the regions and have to map and prioritize issues, obstacles and challenges in each region and share evidence based best practices in addressing the challenges in policy making and other advocacy efforts and then all the participants have to discuss about developing the CSO statement and recommendations to 6th Asia Pacific Population Conference. 50 young leaders from Asia and the Pacific gathered in Bangkok on 14th -15th September 2013, prior to the 6th Asia Pacific Population Conference, and formed the regional platform to ensuring that the rights of young people are met, respected, and protected. The young people came up with recommendations for five thematic areas: (1) Education, (2) SRHR’s for adolescents and young people, (3) Comprehensive Sexuality Education, (4) Abortion, and (5) Young people and Migration. After these 2 forums, the draft statement and recommendation is done to submit for 6th Asia and Pacific Population Conference which will be held from 16-20 Sep, 2013. We really look forward that the statements and recommendations are accepted with significant change for the future. Our gratitude goes to World YWCA for giving this wonderful opportunity to participate in these forums, make new networks and share our experiences. We are really looking forward to and determined to make significant change for young women in our country and for our countries.